Heritage Properties to Add 219,500 Square Feet of New Construction to Raleigh Skyline – Heritage Properties Inc.
Heritage Properties, Inc. is pleased to announce the development of 219,500 rentable square feet of Class A office and retail space at the intersection of Glenwood Avenue and Hillsborough Street. The ten-story building is located at one of the highest elevations in downtown Raleigh, and will be ready for occupancy in the second quarter of 2018. 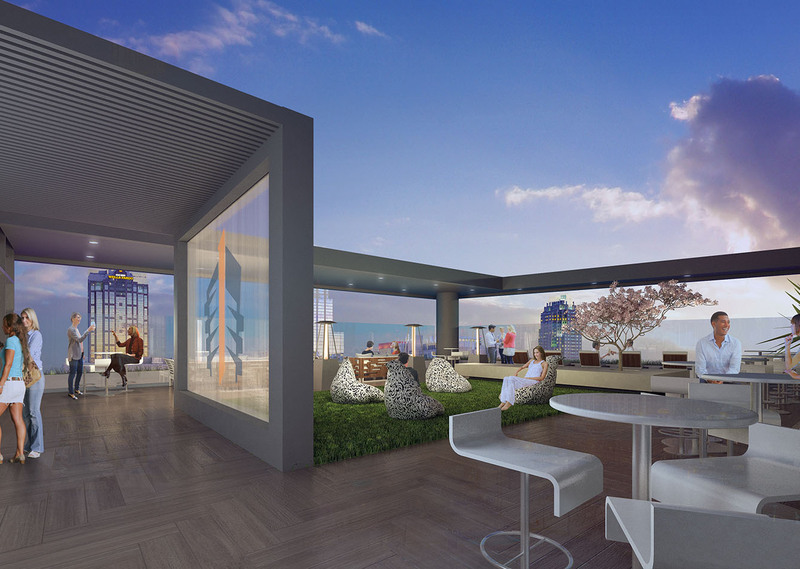 Featuring a roof-top-terrace offering unprecedented views of the city and a 650-space parking garage, the LEED Gold certified building will act as the gateway to the city and will incorporate the character and feel of Glenwood South. The mixed-use project marks the second venture for developer Heritage Properties in Raleigh, North Carolina. Heritage purchased and assembled the land parcels for the office tower in late 2015, and recently put under contract another 1.5 acres of land at 607 W. Morgan Street to develop the parking garage and other uses. Close proximity to Union Station, North Carolina State University and the popular Glenwood South neighborhood position the building to bridge Raleigh’s busy Warehouse District to its venerable Glenwood South neighborhood. Easy accessibility to extensive parking within the garage will enhance the desirability of the project. Plans to incorporate the natural finishes of the Glenwood South’s character throughout the project, allowing for a seamless integration, are currently underway. As the new focal point of the area, the project will incorporate approximately 14,500 square feet (sf) of retail space along the first floor. The space will offer 28’ high ceilings and floor-to-ceiling glass frontage along Glenwood Avenue and Hillsborough Street, and will incorporate similar design elements as Heritage Properties recent $85MM Towson Square retail development. Designed for flexibility, the column-free interior design of the office tower will allow office tenants to take advantage of modern space planning techniques, increasing the variety of uses for the building. In addition to a bike share amenity, Heritage will incorporate many of its signature amenities to the building including a tenant lounge on the top floor of the building, a fitness center with full service locker rooms, and a high-tech conference space.